First of all i would like to thank you Mr. Youssef for the guiding information that you have provided me. I can not overlook your patience in such a slow document delivery on my behalf. Last but not least thanks to your knowledge our cooperation had as a result my case to be accepted and my visa to be granted. This allows a dream of mine to begin. I am really grateful! Hope we meet soon and if necessary our future collaboration to have as good results as the present ones! I am writing to you in connection with the help and support you provided me during this whole period, of getting Australian Permanent Residency. It has always been my dream to live and be part of beautiful Australia. With tears of joy I received the news from you on Wednesday 25th of september that I finally got my permanent residency here after 3 months. I still can’t believe that we made it!!! My dream came true, and you guys have played such an important part in helping me with my application. I hope you know how much this all means to me! I really appreciate your cooperation and time to time contact during the process of my application.Indeed, you are doing a marvellous job and I hope you will keep it up.Again, let me say a big THANKS to you. Anybody wishing to file your residency application, Do So through this company here, they are the best! You have no idea how much you have helped me and how much time you have saved me. It was a pretty short period getting my Engineering assessment and quite incredible getting my visa just in 4 month. No doubt the service you provided was prompt and exceptional. I have no hesitation in recommending you to anyone who seeks Australian Migration Assistance. Many Migration Lawyers and Agents refuse to let the clients be aware of the whole process and even refuse to give an accurate and complete advice. Extensive knowledge, experience and unlimited patience with customers are the exact points made you a brilliant at what you do and quite different compared to other lawyers/agents I’ve met. Youssef is incredible. It is so refreshing to meet someone who is passionate about his work and genuinely cares about the people whose lives he is helping to change. I haven’t even met Youssef in person but from the first time I called him from Byron Bay (after hearing about him from a friend) he went above and beyond. What is most unique about Youssef is the perfect combination of passion AND knowledge of Australian immigration law. Within 15 minutes he had ascertained the complex situation and listed the options. He is sharp, to the point, and knows immigration law. I had previously met with a couple of other immigration lawyers but dealing with Youssef made me realize very quickly how important it is to use the RIGHT immigration lawyer. Needless to say we achieved the result we were hoping for – in record time I might add! Thank you Youssef – from the bottom of my heart – you are truly one of a kind. Looking forward to meeting you in person and shouting you that drink some day soon!! Youssef IS a miracle worker! I procrastinated greatly over what visa to apply for and had literally two weeks to not only decide, but to then go through the process of lodging it and having it granted. Youssef rose to the challenge and in doing so, exceeded overcoming every obstacle with incredible determination and focus. I left the application so late that he personally had to venture to the immigration department to lodge my application. He managed to get everything together, within just a day of my previous visa expiring. I hadn’t managed to provide every detail that was required, yet with Youssef’s abundant knowledge and commitment, my visa was applied for and granted within 24hrs. I am still trying to catch up with this reality! ‘Highly recommending’ Youssef is an extreme understatement. His ability to move things forward at record pace and his complete commitment to his work is not only incredible beyond words, but changes lives. This demonstrates his loyalty, his compassion and his pure devotion to his job….and even more so, the life of every individual he helps. In addition, Youssef continues to openly give guidance having completed the near impossible task of having my visa granted. The ‘aftercare’ is not something I have experienced with any other immigration lawyer and demonstrates his depth of integrity. I want to express my deep thank to Mr. Youssef Haddad of Immigration Law Matters. I would like to say a big “THANK YOU”, for all your hard work. You provided a very supportive and helpful services that enabled me to obtain my student visa easily. Without your guidance and continued support it would have been a very time consuming and stressful process. I could not have asked for better customer service, any query was answered promptly anytime of the day and I was kept informed at every step of the journey. I would recommend your team to anyone interested in obtaining a visa. I want to express my gratitude to Youssef Haddad for his assistance in handling my case so well. He is truly a miracle worker! I really don't have words to express how grateful I am to you for helping me out with my visa application process. Because of your prompt services, professionalism and all your attention I was able to get my visa grant in 5 weeks!!!! I am speechless! There is nothing enough I can do to thank you! I have truly enjoyed working with you, the result of my application is evidence of your impeccable attention to detail and comprehensive knowledge of the immigration laws and procedures. Because of your help, I am now looking forward to embark on my new life in Australia with confidence. I would not hesitate- not even for a second- to recommend your services to anyone because of your profound integrity and professionalism! I would like to thank you all at Immigration Law Matters for the support and help you provided during my visa process. Your informative and prompt replies to all questions and inquires made the process seem effortless. You helped pave the way towards reaching my goal, and for that I am very grateful! Immigration Law Matters has helped me with my Australian permanent residency three years ago and was always extremely efficient and professional. Two years ago, I started my own business in Melbourne and ILM has since helped me with the business sponsorships for my staff. Their expertise and pragmatic work ethic were highly valuable to me both from a personal, as well as a professional perspective. They comes highly recommended. 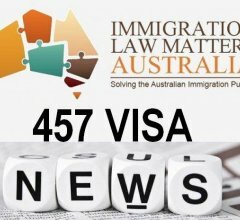 Immigration Law Matters are the best in Australian Migration Law. Not only did they help me determine the best occupation according to my skills and qualifications but they helped me get the visa quickly. If you want to be successful in your visa application please only use Immigration Law Matters…they know what they are doing. I’m a Civil Engineer from Iran and successfully migrated to Australia because of Immigration Law Matters. 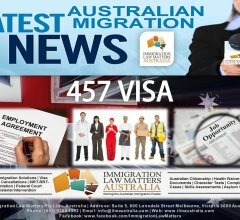 Australian Skilled Migration is very complex and stressful. Before I found out about Immigration Law Matters (ILM) I was so confused from all the advice the other ‘so-called’ professionals gave me. ILM were very realistic with their advice and most importantly they gave me correct advice and our family successfully migrated to Australia. The staff at Immigration Law Matters make you feel like you are part of their family. Thank you from the bottom of hearts. 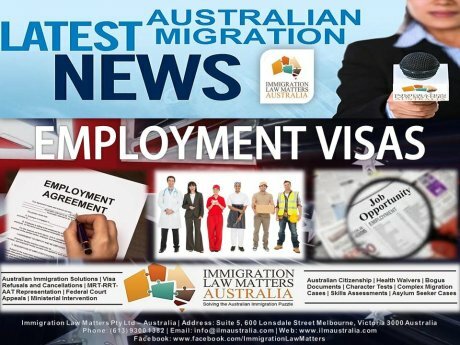 If you’re an engineer and want to migrate to Australia then Immigration Law Matters know how to get you to Australia. We have been extremely impressed with the level of service we have received from Immigration Law Matters. We have always felt that they go beyond the call of duty to help with our enquiries and answer our questions, very often after hours as well. 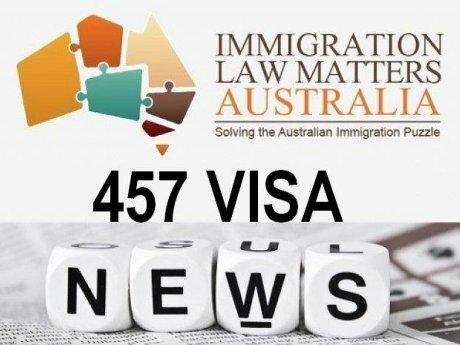 We have had six people including ourselves receive permanent residence visas due to their teams’ efforts and recommend them highly to anyone who is looking for help in Australian Migration. They have no hidden fees and tell you how much the whole process will cost right from the start. We are forever grateful to Mr Youssef Haddad and Immigration Law Matters because due to his hard work and excellent knowledge of Australian Migration Law. Before we met with Youssef we were getting ready to leave Australia but against all odds he helped us win our case at the Migration Review Tribunal. I would certainly recommend Immigration Law Matters to anyone wanting to migrate to Australia or is in Australia and has a problem with their visa.